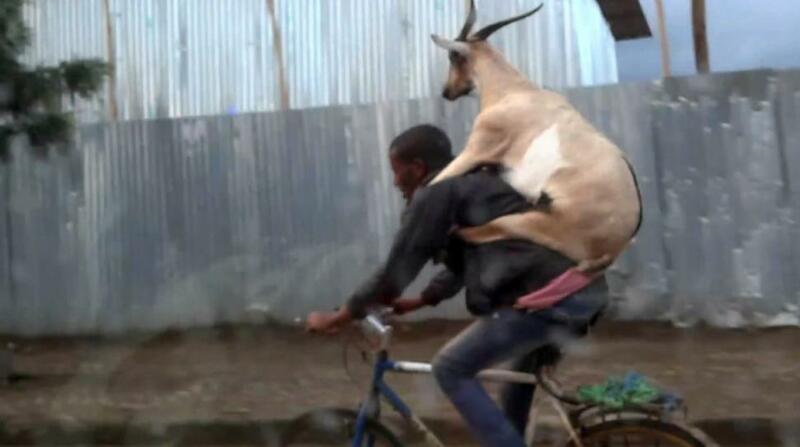 Ever wanted to see a goat riding a man riding a bike? Well it’s your lucky day because someone has filmed exactly that in Addis Ababa, the capital city of Ethiopia. The bizarre goat pack was captured by a car passenger. It is believed that the man may have been taking the goat to the slaughterhouse, so while the goat looks like it is enjoying its bike journey, it may not have been quite so happy when it realised its destination. WTF did this creature just do?